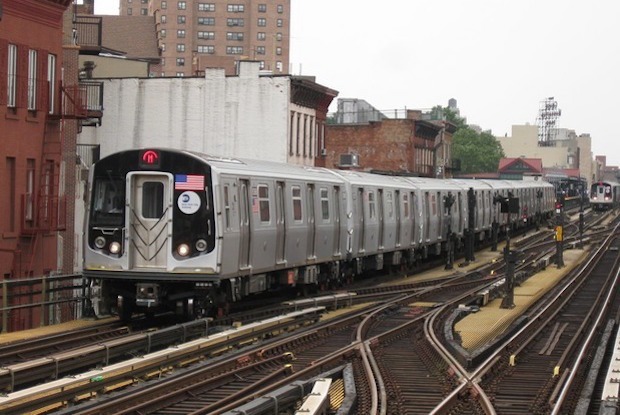 There will be no M or J trains running between Manhattan and Brooklyn from now up until the last weekend of January. Gothamist reported earlier this week that the M/J weekend shutdown would start November 23 and end on the 28th of January in 2019. The weekend shutdown would mean that commuters along the M and J trains would only have access to limited stops and traffic. "Free shuttles will be on hand to ferry you from Hewes Street to Essex Street, and between Essex and Metropolitan Avenue as needed, but thanks to the looming L'pocalypse, we know what that means: crowded buses grinding through snarled traffic, possibly for hours and maybe even decades. Plus, once February starts, the L will settle back into mini-shutdown mode on the weekends, portending general confusion and weariness as you attempt to keep all these changes straight." As usual, consider hoping on the bike train to figure out commuting for this transit curveball. Or start taking the L again because it's coming back for the weekends this December. Featured image by Adam E. Moreira via Wikimedia Commons.